FIFA U17 World Cup 2017 will be the biennial International men’s youth football championship that is contested by the under 17 national teams of the FIFA member associations. This will be the firstFIFA tournament hosted by India and that will be kicked off on October 6th to October 28th 2017. Total of 6 cities will host this tournament that are New Delhi, Kolkata, Kochi, Navi Mumbai, Guwahati and Margao. The first two matches of this 2017 FIFA U17 tournament will be decided to hold on 6th October 2017 in New Delhi and Navi Mumbai with the first double headers. The quarter Final matches will be hosted in Goa, Kochi, Kolkata and Guwahati while Guwahati and Navi Mumbai will host the semi final matches of this tournament. 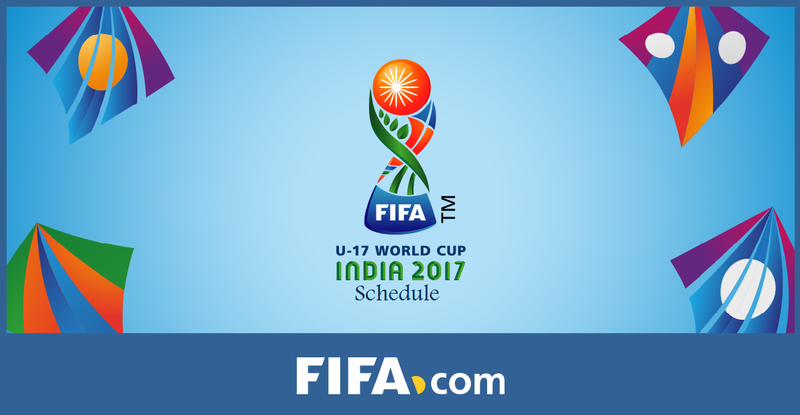 The final match of this 2017 FIFA U17 World Cup Tournament will be held on 28th October in Salt Lake Stadium, Kolkata.